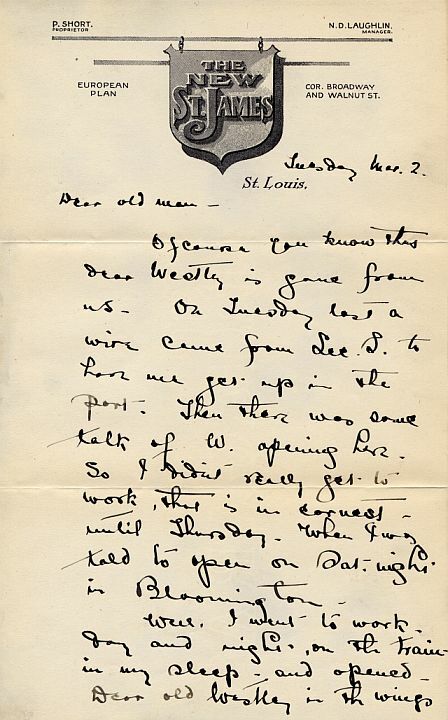 This letter, written on stationery from The New St. James Hotel in St. Louis, Missiouri, dates from the early years of Warner Oland's stage career. 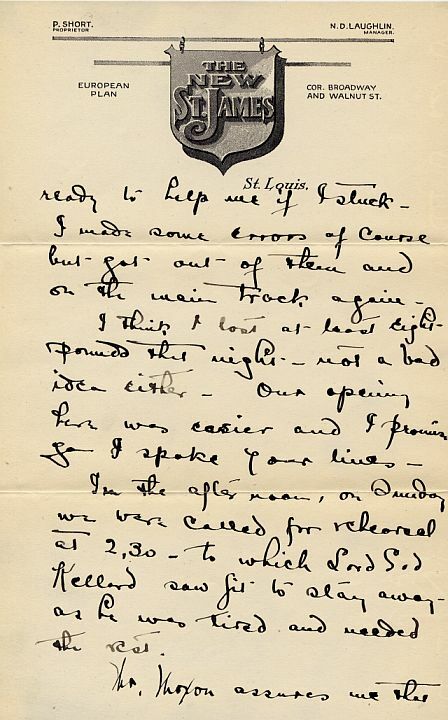 Written to a colleague, Mr. Oland mentions the passing of a mutual acquaintance named Westley. 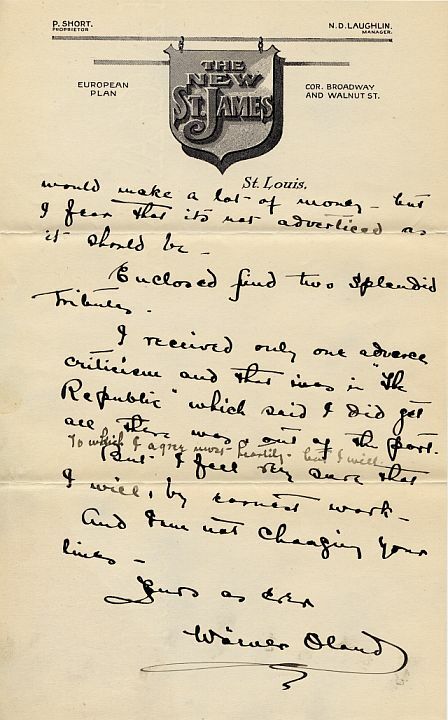 He also notes his present work in a traveling company of actors which, we can assume, was then performing in St. Louis. 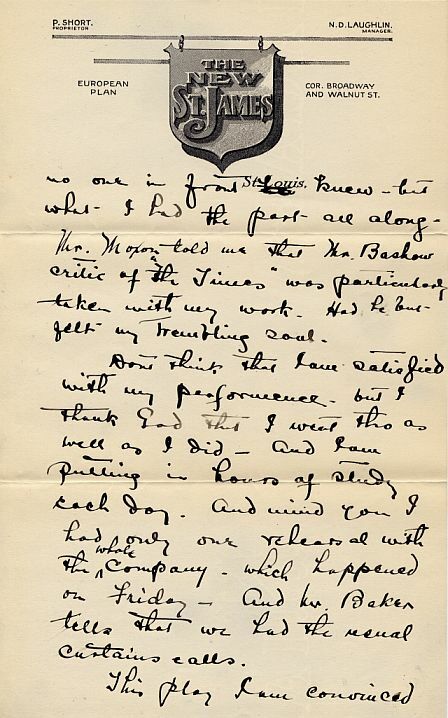 From this letter, we can see how hard Warner Oland was working to perfect his craft, skills which would lead him, more than twenty years later, to the role of Charlie Chan.